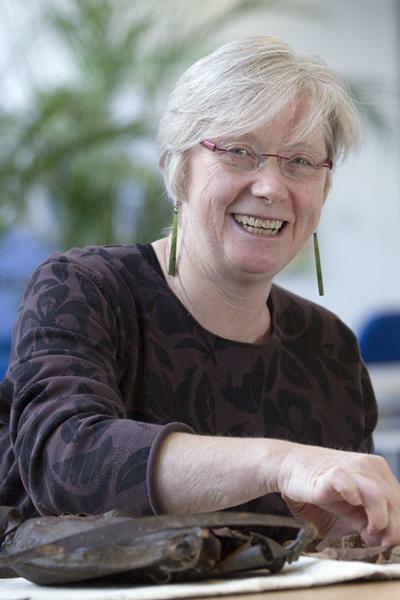 Dr Yvonne Marshall is a Senior Lecturer in Archaeology at the University of Southampton. I was educated in New Zealand and Canada (BA, Otago; MA, Auckland; PhD, Simon Fraser University) and appointed at Southampton in 1994. My specialist areas are prehistory and social theory; my passion is the development of feminist and indigenous approaches to archaeology. I have completed major field projects at Pouerua, northern New Zealand; Sigatoka, Fiji; Vancouver Island, British Columbia, Canada; and the Women's Peace Camps at Greenham Common, England. I am currently working on projects in Taiwan and New Zealand. My attention is currently focused on completing a book which draws together my three greatest passions in archaeology: Pacific archaeology, feminist theory and indigenous archaeologies. My central argument is a critique of the way archaeologists normatively construct difference - whether between people, objects, assemblages, time periods or places - and points to the potential of feminist and indigenous archaeologies to transform our notions of difference and the ways we choose to write archaeology. Marshall, Y. (2008). The social lives of lived and inscribed objects: a Lapita perspective. Journal of the Polynesian Society, 117(1), 59-101. Sutton, D., Furey, L., & Marshall, Y. (2003). The Archaeology of Pouerua. Auckland, New Zealand: Auckland University Press. Marshall, Y. M. (Accepted/In press). Mobility and sedentism: a social perspective. In M. Reindel, N. Benecke, & K. Schnidt (Eds. ), Sedentism: Worldwide Research Perspectives on the Shift from Mobile to Settled Ways of Life Berlin, DE: German Research Institute. Marshall, Y. M. (2012). Personhood in prehistory: a feminist archaeology in ten persons. In D. Bolger (Ed. ), A Companion to Gender Prehistory (Wiley-Blackwell Companions to Anthropology). Chichester, GB: Wiley. Marshall, Y. M. (2008). Defining community archaeology. In S. McIntyre-Tamwoy (Ed. ), Working with Communities: the Archaeology of Contemporary Heritage (pp. 50-54). (Australian Association of Consulting Archaeologists; Vol. 1, No. 1). Armadale, Australia: Australian Association of Consulting Archaeologists. Marshall, Y. (2006). Houses and domestication on the northwest coast. In E. A. Sobel, D. A. Trieu Gahr, & K. M. Ames (Eds. ), Household Archaeology on the Northwest Coast (pp. 37-56). (Archaeological Series; No. 16). Ann Arbor, US: International Monographs in Prehistory. Marshall, Y. (2004). Social organisation. In L. Furey, & S. Holdaway (Eds. ), Change through time: 50 years of New Zealand Archaeology (pp. 55-84). (NZAA Monograph; Vol. 26, No. 26). Auckland, N.Z. : New Zealand Archaeological Association. I love all forms of social theory and I am interested in their application to archaeology, particularly in prehistory. I am especially keen to supervise PhD students who are working in the Pacific Rim region and are looking to explore socially engaged research based in feminist and indigenous perspectives. Feminist perspectives on Etruscan ceramics. Building effective strategies for using social media to enhance and diversify engagement between museums and communities.